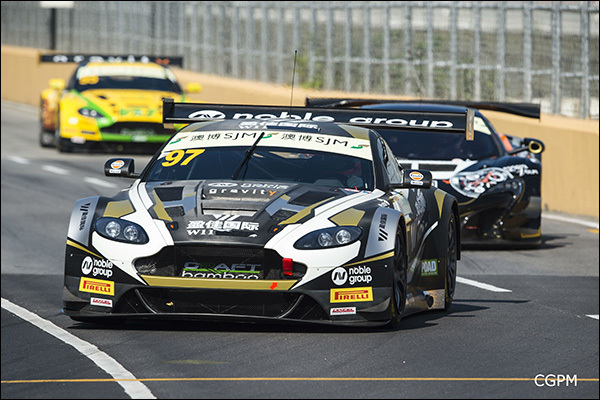 Aston Martin’s Stefan Mucke held off race long pressure from the Mercedes-Benz of Maro Engel to win the FIA GT World Cup Qualification Race on Saturday. Mucke got away cleanly from pole position to edge out front row starter Edoardo Mortara in the new Audi R8 LMS, as Engel slotted in right behind him as they blasted down towards Lisboa. But despite lapping closely together for the early laps, Engel was unable to challenge Mucke as the leader controlled the pace at the front, with both men edging clear of Mortara and Renger van der Zande. 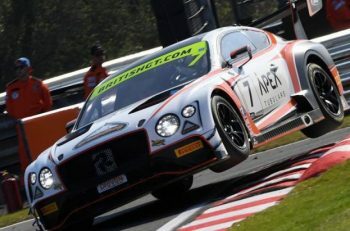 The Safety Car was called out on lap four, however, after Adderley Fong’s Bentley Team Absolute was left stranded in the middle of the track at the Solitude Esses following a crash on the lap before. At the restart on lap eight, Mucke again got away cleanly from Engel and Mortara, while fourth placed van der Zande briefly tried to move up a place. 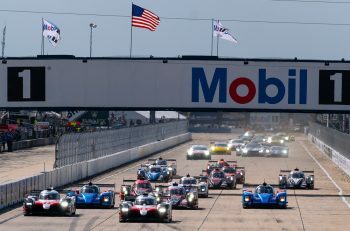 But the leaders were unable to make any decisive moves and, well aware that the main event takes place on Sunday so there was no point taking too many risks, the gaps at the front steadily expanded until the chequered flag. In the end, Mucke finished 1.697 seconds clear of Engel, with Mortara dropping back another 5.212 seconds. 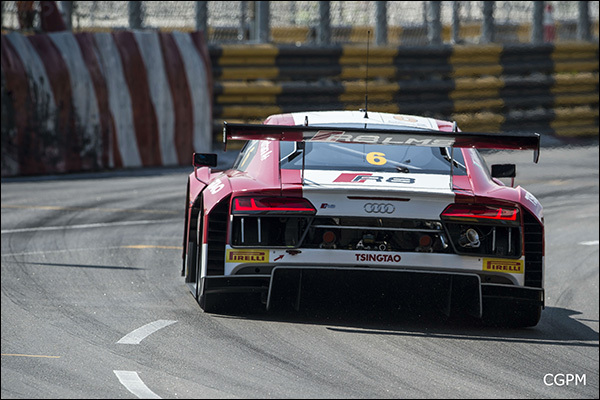 Dutchman Van der Zande finished fourth, ahead of Rene Rast in the Audi and Richard Lyons in the Aston Martin. 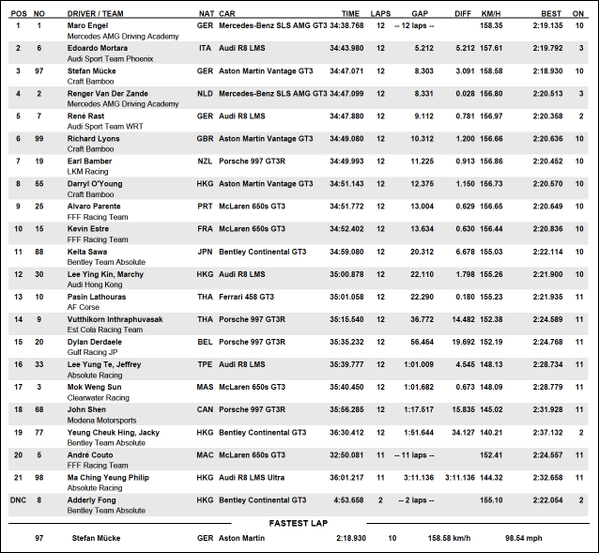 LKM Racing’s Earl Bamber was the top finishing Porsche, while Alvaro Parente brought his FFF Racing Team McLaren home in ninth place. STOP PRESS: Mucke has lost the win after a time penalty for a ‘brake test’ He is relegated to third, Engel wins!